Fiv5 Star Cleaning is proud to be included in the “Charlotte Metro Woman” magazine for March/April. The BEST Cleaning Services in Charlotte! At Fiv5 Star Cleaning, we believe in providing outstanding services and building lasting relationships with our customers. At Fiv5 Star Cleaning, we know that cleaning your home can be a major undertaking. At Fiv5 Star Cleaning, we believe that keeping up with routine cleaning shouldn’t be a hassle, and we can take care of this task with our seasonal cleaning services, leaving you free to do other things. At Fiv5 Star Cleaning, we offer deep cleaning services that can bring your home in Charlotte, North Carolina back into top condition and looking its best. 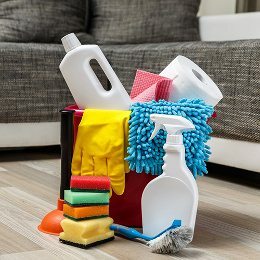 We are happy to tailor your residential cleaning plan to suit your requirements in Charlotte, and you can always add or subtract items from our standardized cleaning guidelines. We can tailor deep cleaning services at your home in Charlotte just like we would with our recurring cleaning service. Our move in/out cleaning services are great for realtors who want to provide added services for their clients in Charlotte. At Fiv5 Star Cleaning, our residential cleaning services are highly personalized to meet the needs of each and every customer. We are a local business that offers customized cleaning services in the Charlotte area. We offer several types of cleaning services that are designed to take care of your house cleaning requirements and make your life easier! 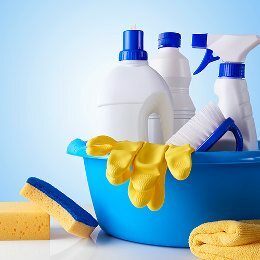 The cleaning services we provide at Fiv5 Star Cleaning are specifically tailored to the needs of our customers in Charlotte, North Carolina, and we strongly believe that your home and your housekeeping needs are unique and different from those of the customers we already serve. 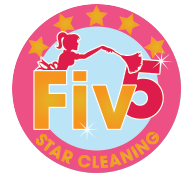 Why Choose Fiv5 Star Cleaning? At Fiv5 Star Cleaning, we aren’t a franchise, but a local cleaning company that has been in business for seven years. We currently provide cleaning services to over 130 satisfied customers each month. 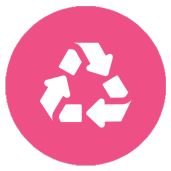 Our customers like the way we clean, and our business has grown each year as a direct result of the quality of the cleaning services we deliver. We always aim to provide friendly and accommodating services. We keep tight control of our operations and the quality of the cleaning services we provide. We never use subcontractors, so the maids who come to your home are Fiv5 Star Cleaning employees who have been thoroughly screened and trained. Our team is friendly and hardworking, and our goal is to make the life of each customer easier by providing reliable cleaning services. 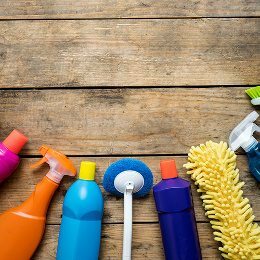 We even offer additional housekeeping solutions that extend beyond the scope of our regular cleaning services if you need them! At Fiv5 Star Cleaning, we provide cleaning services to homeowners in the Charlotte metropolitan area. If your home is in Mecklenburg, Union, East Gaston, Cabarrus or South Iredell County, we will be able to provide the cleaning services you need. If you would like to learn more about our service or need to schedule a quote at your home, please contact us today to get started. We look forward to serving you! Contact us at Fiv5 Star Cleaning today to schedule a free estimate at your home! 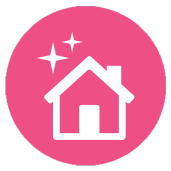 You’ll see why we offer Charlotte’s BEST house cleaning services!